What Tim Says: Contact Your Senators Now About HCR. Tim F. over at Balloon Juice has been fighting the good fight for a while now, rallying that community to whip their representatives, and now their senators, for what appears the only clear path to health care/health insurance reform. That’s the PTBFWR solution: Pass The Damn Bill/Fix With Reconciliation approach. The key is to persuade the House that this is good enough, even if not as satisfactory as the House bill would have been…and to persuade at least 50 members of the Democratic caucus in the Senate that it is worth passing a bill through the arcane reconciliation process that fixes some of the more egregious provisions of the Senate version of the bill– the Nebraska sweetheart deal, the “cadillac tax” and so on. You could also call your Rep. again to stiffen the sinews and summon up the blood — but it is, once again, the Senate that’s where the action is. So, completing my outsourcing — here’s Tim’s message to you. Listen to it. Act on it if you can. Memo from Nancy Pelosi to you: call your Senators and give ‘em hell. You know what to do. 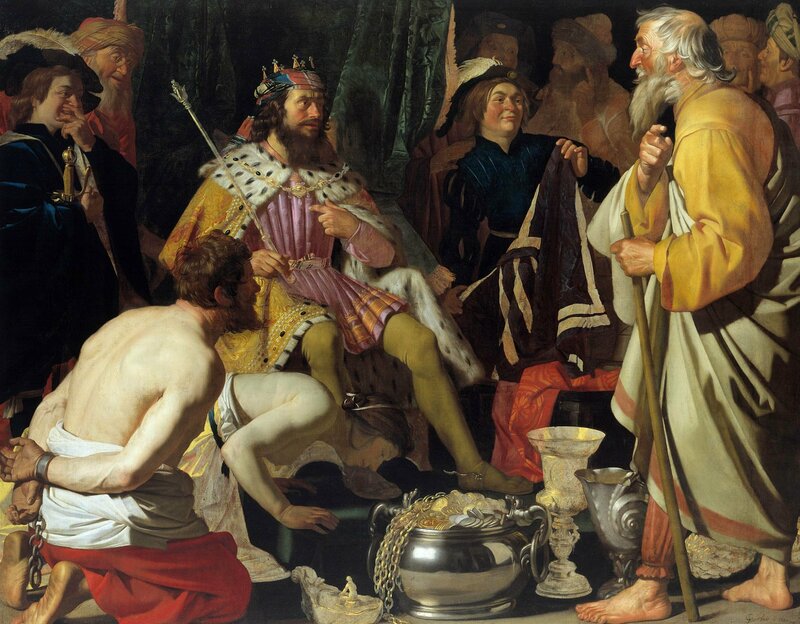 Image: Gerard van Honthorst, “Solon and Croesus” 1624.